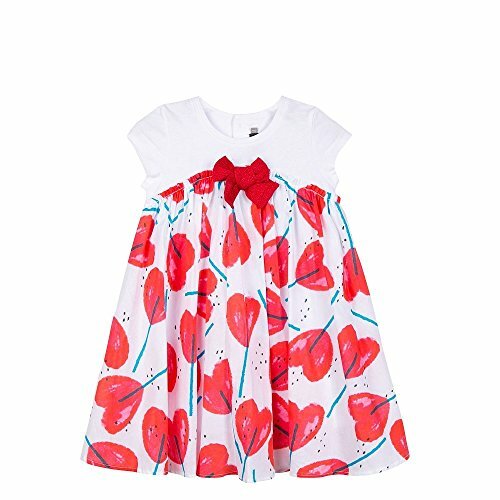 Short-sleeved dress with large attractive hearts and exclusive flower graphic print, for a fresh and colorful girl's outfit! T-shirt upper in plain jersey with rounded neckline fastened by buttons on the back. Rounded cut out section with flounces and a large, shiny romantic bow on a base of printed voile. Jersey lining creates a comfortable fit.